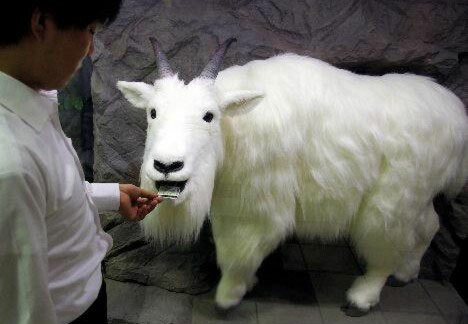 Here's a novel way to prevent litter: place an animatronic goat on the premises. At Tokyo's Edogawa Kyotei boat race course, gamblers used to throw their losing tickets on the floor. Enter robo-goat, which has been programmed to "eat" the tickets you place in its mouth; feeding the thing is more satisfying than littering, which keeps the floors cleaner and gives us something really weird to write about. Spokane Washington has a garbage eating goat too.